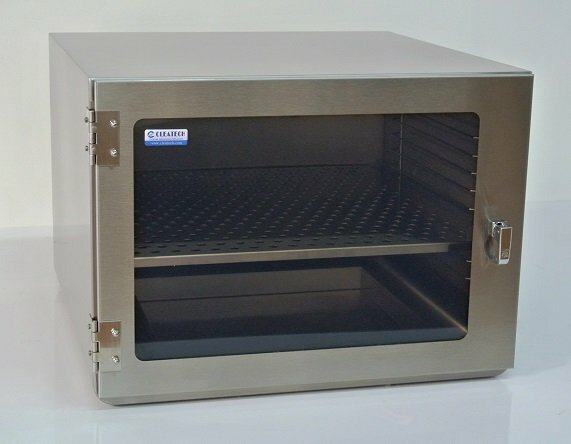 Cleatech's S-1600 Stainless steel desiccators (dry boxes) are durable, low humidity storage cabinets which designed for maximum weight capacity and long term durability. 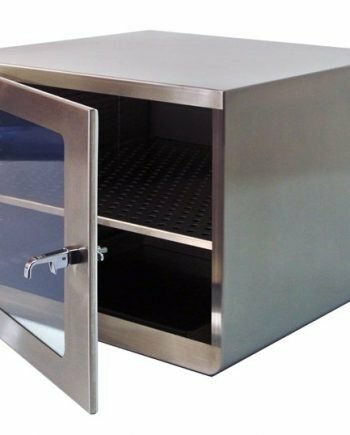 Each Stainless Steel desiccator is a Non-vacuum dry cabinet can be equipped with optional inlet and outlet ports that allow gas to be purged through the storage area. 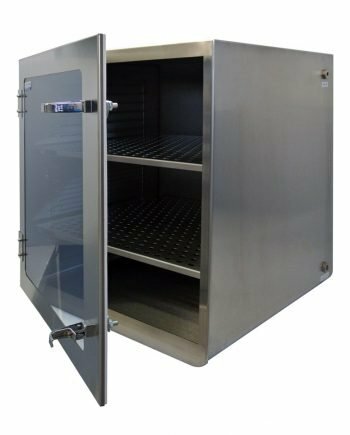 They can be used with inert gas , CDA or desiccant. 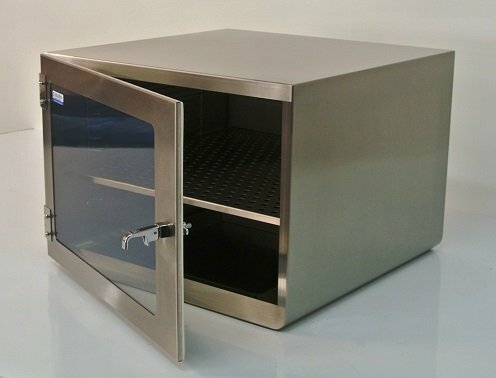 for automated purging and humidity control you can use Cleatech’s Automatic purge control unit.